Does new bill cleanup sidewalks or target homeless? 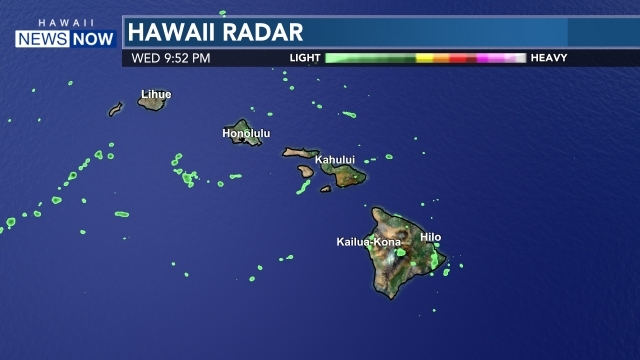 HONOLULU (HawaiiNewsNow) - Move it or lose it. A new plan would clear off sidewalks and public spaces around Oahu. The proposal at Honolulu Hale would allow the city to confiscate items left more than 24 hours but some believe it's just another way to go after the homeless. The homeless camps on Beretania Street across from Aala Park are a glaring example of what would not be allowed under the new law but even something like a basketball hoop in a neighborhood would also apply. If Bill 54 passes city crews would be able to remove and dispose of personal belongings stored on public property for more than 24 hours even if someone is there attending it. The idea is keep areas clean, accessible and safe. Nowhere in the language of the bill is the word "homeless" even mentioned. "Because it's not it's absolutely not intended to address the homeless challenge that we have," said Tulsi Gabbard, Honolulu City Councilmember who introduced the bill. "This bill is not targeting the homeless. This bill directly addresses the material, property or possessions that are being stored on public spaces prohibiting access or providing a safety or security hazard." But fellow council members disagree. "The intent of this bill is directly for the homeless even if you say no," grilled Romy Cachola, Honolulu City Councilmember during public testimony on the bill. "Well you're entitled to whatever opinion you may have but stated purpose of the bill is in the purpose clause," responded Lori Nishimura, Executive Assistant to Mayor Peter Carlisle. "It seems that the city's publicized approach has always been these band-aid, back end approaches," said Nestor Garcia, Honolulu City Councilmember, during testimony. "The homeless are very mobile. They are very independent and they will move on to some other sidewalk to occupy." The ACLU is opposed saying Bill 54 violates a number of constitutional provisions. "We hope that the city council will spend more time and energy on productive and proactive measures that will address some of the root causes of homelessness, rather than this piecemeal approach that will affect everyone's civil rights and civil liberties," said Dan Gluck, ACLU Senior Staff Attorney. "It is a public space for everybody and it needs to be shared it's the commons so to speak," said David Cannell, Homeless Shelter Resident. Even though the city supports the bill there are some concerns. The city would post a removal notice. Come back the next day. Take what's still there. Impound it for 30 days and let the owner come and get it if they want it. Otherwise it will be sold or thrown out. It's unknown how many resources that will take or how much money it will cost. "This is very much in the inception stages. There were a lot of very good questions and concerns that were raised today. We've heard from people on both sides who are very happy we've introduced this who feel it is one avenue to open up and appreciate our public spaces," said Gabbard. The owner would have to pay fees for removal, storage and disposal. At least that's the hope. The issue will be debated next week in council committee. To review Bill 54 click here.